SpartanNash (SPTN) is a Fortune 400 company and the sixth largest food distributor in the United States. We also are a leading distributor of grocery products to U.S military commissaries. 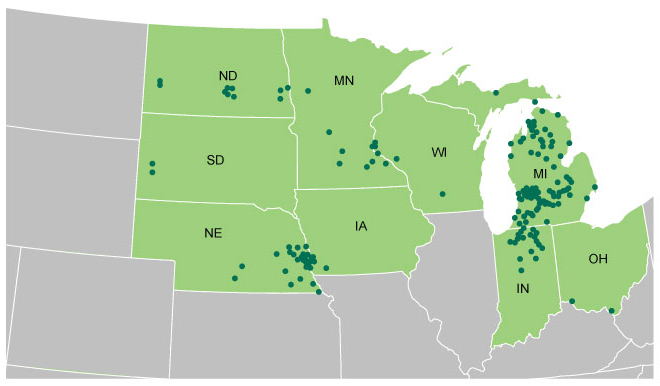 Headquartered in Grand Rapids, Mich., SpartanNash has corporate offices in Minneapolis, Indianapolis and Norfolk, Va. We currently operate more than 155 corporate-owned retail stores in nine states and distribute to more than 2,100 independent locations throughout the country. Our retail banners include Dan’s Supermarket, D&W Fresh Market, Econofoods, Family Fare Supermarkets, Family Fresh Market, Forest Hills Foods, Fresh City Market, Martin’s Super Markets, No Frills, SunMart, Supermercado Nuestra Familia, ValuLand and VG’s. 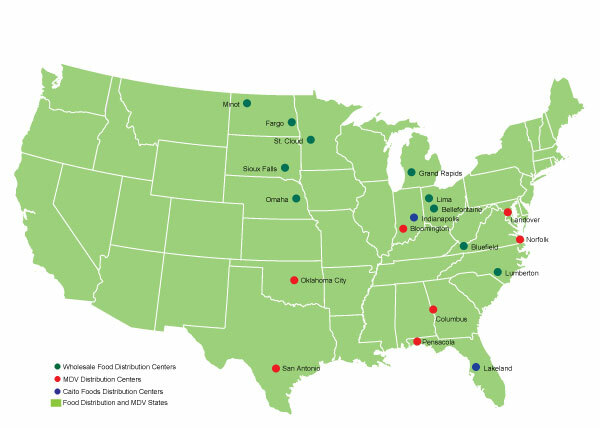 We operate 12 wholesale distribution centers and seven military DCs. Our military operations also serve the District of Columbia, Europe, Cuba, Puerto Rico, Bahrain, Djibouti and Egypt. SpartanNash also offers premier fresh produce distribution and fresh food processing through our Caito Foods Fresh Kitchen and Fresh Cut operations, and BRT’s managed freight business specializes in dry and refrigerated freight services for produce and perishable goods. Our vision is to be a best-in-class business that feels local, where relationships matter. We are guided by our core values of customer focus, innovation, patriotism, teamwork, respect, integrity, accountability and celebration and fun. The key to our success is our family of nearly 19,000 associates, who put our customers, consumers, communities and their co-workers first, each and every day. Giving back is part of our commitment. In 2017, we donated 5.4 million pounds of food to help fight hunger and collaborated with community partners around the country to advance education and vital services. We also supported the communities we serve through our corporate giving initiatives and volunteered thousands of hours with our community partners. The SpartanNash Foundation is the charitable giving arm of the company and is focused on providing grants to nonprofit community partners that work to end hunger, provide shelter and support our military heroes.